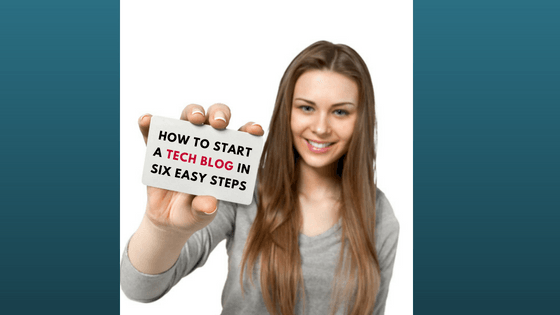 Post updated 03 October 2018: Starting a tech blog is not a difficult task as some would think it to be — anyone can do it with just a little bit of effort and time. The process is the same for creating a website with wordpress, be it any niche or topic/subject you choose. However, creating a good looking and quality blog would possibly demand a little bit more hard work that you would think. If you are starting a blog – having some passion for what you are doing or blogging about would surely help you a lot in becoming successful in your blogging journey. Obviously having a passion for something will make your work easier and you will write better about your passion, and that’s what draws people to your blog and makes it a success. You can decide to write about anything – Gadgets, Android phones, Software hacks or Gaming tips. There is an audience for all sorts of information online. Lots of folks think about starting a blog as a hobby or project. Some start just to connect or keep updated with their friends and family. Some people just want to create their online presence to share, or connect with people and get a massive audience/ followers to their blog and make themselves popular + perhaps also earn some money on the side. What do you want from your blog? If all you want – is to start a blog just as a hobby, there’s absolutely nothing wrong with that! Go and build a totally free WordPress.com blog over here. But If you are planning to really put in some effort and make a successful blog with many followers, and possibly earn some money too on the side, then you should think about getting your own self-hosted blog with wordpress. I have given the whole step by step process for this below. If you are going to spend some time writing good content and uploading nice pics for your blog stories, you might as well give it the best chance to flourish and become popular or perhaps make yourself a famous blogger. If you are really serious about this venture, then read below on how to get your self-hosted blog started with wordpress and Bluehost easily and quickly. Getting a self-hosted blog has many advantages, the most important is you have more 100% control of your blog and you have more money making options plus customisation or design options. You can also change the look and feel of your website with easy 1 click plugins installation and 1 click theme install. They are thousands of plugins Free and premium plugins available for purchase. 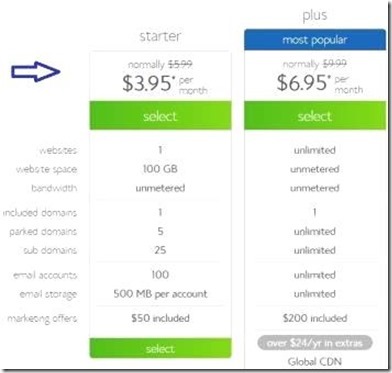 Before we get started with our step by step process of building our website – I have given below a comparison snapshot of web hosting prices with different webhosting companies. I have also attached the latest deal with Bluehost which is what I recommend for beginner bloggers. 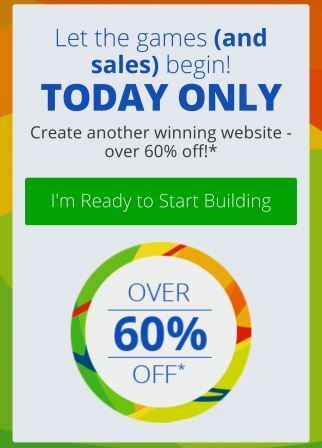 I am happy to bring you this special deal right now (56% off) from Bluehost for starting a self-hosted wordpress blog/website. Using this special discount offer, you can install and set up a wordpress blog in minutes for just $3.95 a month and you get a FREE domain name. Let me tell you a little about bluehost from my experience with them . When i started my first blog, I didnt know much about hosting and servers and that kind of geeky stuff. But I soon had to learn – at that time many years ago there was not as many reviews and write ups available on-line to read – before making that choice of picking a hosting company . I just ended up signing up with a local hosting company. They had wordpress software availability … but they had their own custom installer software for it. Getting your blog started with thier software was a bit of a process (actually a pain). Once I managed to get teh installing bits all sorted out – There was other problems, WP plugins needed special permission just to work properly and I had to contact the server admin to change settings which took time going back and forth. It was quite frustrating. I am glad that the top hosts like Bluehost and Hostgator nowadays have the one-click install that makes installing and starting a blog yourself a breeze and It can be done in minutes. I have given below a quick run through on how to set up your blog with Bluehost. Ok, so You’re set to give this a go! You have got a few articles/posts planned or already written, and you now possess a few gadgets that you want to review or got some new trending and exciting technology stuff that you want to write about. Fantastic! Let’s design your desired blog. # Step 1: Get Hosted. Don’t be anxious or scared — If the web hosting mumbo jumbo seems scary to you- Don’t panic , It isn’t as hard as you would believe it to be ! It’s simply hiring a small piece of the web network for your site. So arises the very important Question, which host should you select? The answer is one that is reliable, easy to use , easy to set up your blog and got good support. From my personal experience, I suggest Bluehost for nearly everyone including fresh and new bloggers. I use Bluehost for the majority of my websites since it offers quality web hosting for a low price ($3.95 per month for 1 year) and I can contact them if anything fails at all , whihc hasn’t happened so far. They give you your web domain name for free and they have a very good 1 click install for easy and quick set up of your blog! The starter plan should be good enough for a new blog or even a 5000 viewers a day blog. Your next screen will be this – you can choose your free domain name over here and they will tell you if that name is available when you type it in. when I purchased my first bluehost hosting, I took a 36 month plan to save money over the longer run as I couldn’t see yourself creating more work for me changing hosts over the shorter term after just starting a blog and starting to get it off the ground. 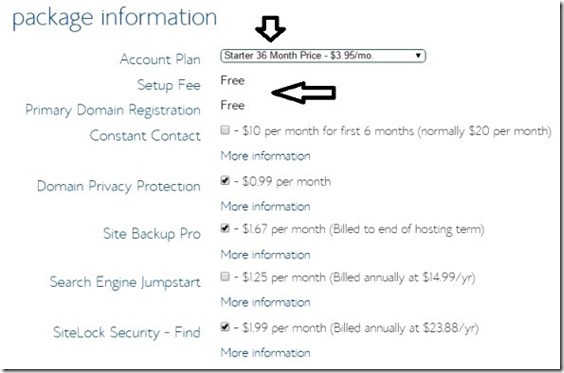 I would suggest the 36 months plan as you still get the Free domain and the cheaper hosting price is locked in for 3 years. Often if you take a 12 month plan you could see yourself ending up paying more when you need to renew (inflation + price increases) the plan after twelve months and trust me, time flies fast. You don’t need Search-engine Jumpstart or Site Lock Domain name Safety unless you decide too, as they are optional as per your needs. You can invest in the Site Backup Professional in case you really are worried about security of your blog, however, I choose to perform the backing up myself and there are tutorials on-line that will show you how to do it. (I utilize the $80 plugins Backup-Pal). On some of my blogs I use the manual export function to backup my blog posts + pages, this can be done within a few clicks and is the quickest way to back up your written content from blog. Domain Security Protection, nevertheless, is something that you ought to spring the additional $9.99 for. Anybody can check out who owns any particular web site; when you don’t pay for Domain Security Coverage, anybody can find out your name and also mailing home address on your site. The domain security blocks this. Now It’s time to start your WordPress up and get it up and running. Once you login with your new login and password into the bluehost website. You will see this image below, you just need to click install and follow instructions to get the blog up and running in a few minutes.They also offer a paid installing service ,but its so easy why would you not do it yourself. WordPress is regarded as the world’s largest website and blog publishing system. It’s immense, it’s simple, it’s utilised by multi million-dollar publishing company such as CNN and People journal, and nearly every blogger I know utilises it, which means there are lots of specialists available to help you if something goes wrong. Bluehost offers easy one-click WordPress set up, which saves you from struggling to set it up or employing somebody to get it done. Click through it and it will take you via a simple installation process. While in this process, it will ask you where you’d want to set up it, choose your domain (eg. http://www.mynewtechblog.com). It will provide you with your login name and password via this process. 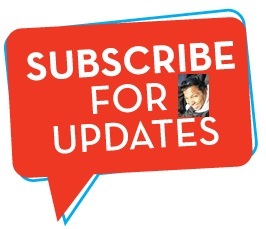 Once your wordpress blog is set up, you come to know where to login (generally the www.mynewtechblog.com/wp-admin) and it is also emailed to you. You would have already written down your password . 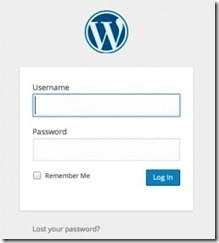 This login and password can be used to login to your blog and start the process of blogging. From this provided link, you’ll manage to sign in your own WordPress dashboard write articles and further optimise your blog as you wish. Think of WordPress like a blank canvas — plugins are accessories that make your tech blog functional. The majority of plugins are free but some of them ask for donations to support them. A few premium plugins cost money. After you log in from the admin panel in wordpress, in the right part bar, click where it states “plugins” and choose “add new” to explore and install useful plugins with the help of keywords search. Contact Form 7 — can make a simple contact form page for your blog or website so people can email you through your site. Share This – Adds links at the bottom of posts to share via Email, StumbleUpon, Digg, Facebook, Twitter. FD Feedburner Plugin — Manages your feed, your stream of new content. WordPress Related posts – Quickly increase your readers’ engagement with your posts by adding Related Posts in the footer of your content. Click on Related Posts tab to configure your settings. Ultimate Google Analytics — Installs Google Analytics easily onto your website. You will need to track what keywords people are searching to reach your blog and what pages they are visiting on your blog. Be mindful of not getting too excited and adding too many plugins just because its freely available, as too many wordpress plugins can also slow down your website. Grab your preferred screen name on the social networking sites such as Facebook, Twitter,Instagram, Pinterest and especially Google+ . You should look to maintain your first name / username identical across almost all domain names to bring more brand awareness for your website. With Google+, which uses your complete name you will not be able to do this. Keep in mind that Facebook or my space will never allow you to create a custom link until you have 25 followers. Do you really need an email list? Ask any experienced specific marketer or web guru and they will tell you — an email list is the sole most beneficial factor that your site will and should surely have. People are more prone and able to see your own content by means of email than they are by any other social network, and also even though social accounts can vary in popularity over time, the email address is right here to stay. My first large blog earnings were less due to not starting an email list initially. When I finally dis start a mail list, I made my second big mistake — starting it on MailChimp, a free supplier. While they are good to start with, I did not realise the big features and options a premium service provider could give and how I was missing out on automation and money by trying to save money by going with a free provider. With Free provider, I lost an enormous part of my email list in the process because you can’t just include all your names on a listing just by adding it to their new list — but they have to verify and get approval from that list of users all over again. Today I choose to use Aweber, the perfect email service available, and also I’m kicking myself personally because I wasn’t going for it from the start. 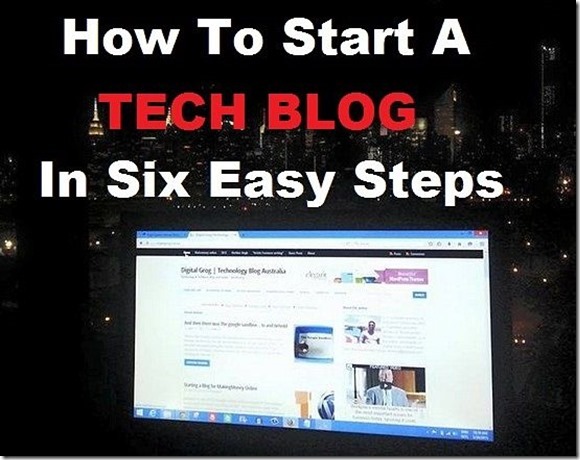 If you are interested in starting off a tech blog that will help you make money and be a success, you have come to the greatest resource here: Blogging to Success with Clickbank. (Course Website: http://clickbank-course.com/ ) I was not willing to enrol and spend money on learning how to blog + make money (something which I was actually was already doing). I actually didn’t think I required it, because I was already making a bit of extra cash, but when I read how many more top bloggers were members and gained from it and were successful, it lured me in to join up. Eventually, I thought why not give it a go – and I became a member. I was surprised how beneficial and useful the content they provided and the detailed and informative video tutorials they provided via the course. I learn a lot even though I thought I knew quite a bit. They had put together access to all the lessons, all the webinars and interviews, and even better, actual helpful bloggers speaking about how they have actually grown their blogs to success and created online businesses to million dollar enterprises. They speak about how they built their blogs and started earning money. In short, this is the resource that will help you build the best blog you may and guide you on monetising it with internet marketing — and get paid for it. It doesn’t matter if you are starting a blog on fashion, travel, a mom blog, a gadget website, a baby blog – this six-step tutorial should get you going with building a blog. Once you create your website/blog all you need is relevant graphics to be updated to your niche to give it a proper look for your topic. Updating to a relevant logo and your niche content articles will make your this niche blog stand out. While we recommend Bluehost, we do believe you should always check out other website hosting providers too before deciding for yourself, so here is another comparison list of other website hosts for 2018.
used to advice new and even experienced bloggers to write new articles or posts at least 2 times a month . But this all changed and with increased competition and google updates now it is better to blog at least 2 to 4 times a week when you start a blog. In your early days, blogging prolifically and more regularly is the best thing you can do — because you’ll develop your own voice, you’ll see what your readers like, and you will also understand of what you should be writing about by getting feedback and comments to shape your blog much better to success. Is my blog a success yet – It’s not an easy task and can take a long time and a lot of work and writing before you gain a loyal and regular audience or traffic interested in what you have to say on a regular basis. But once you see this happening, the perks in this field are rewarding and maybe it also will surpass your expectations. Good luck, you tech savvy blogger, you! [Disclosure: Digitalgrog.com.au is a affiliate partner to most of the Hosting services and some other blog related promotion services that I have listed here on my blog and I use, which means that in addition to using their service, we also receive a commission for referring new customers. To be fair, though, we still use these services even if we weren’t an affiliate. We don’t recommend any particular host just because we’re an affiliate (every hosting company offers a similar affiliate program); we recommend certain Hosting companies because they are the best, most reliable option. Plus, because we’re a partner, these providers offers a special price for Digitalgrog readers. All you need to know about NBN Australia – The Consumer’s Guide In the internet business speed is pretty much everything and when you’re looking to change your internet provider this becomes an important factor. The NBN is here in Australia and you will need to switch sooner or later to these faster speeds. The NBN is compulsory, but at least 6 million Australians don’t realise it Below I will cover some of the most asked questions about the NBN Who are the major NBN providers? What do you need for connecting NBN? What is the price ranges for a NBN connection? I’d like to thank you for the endeavors you’ve carefully recorded this online journal. I am planning to see the same high-review blog entries from you later on too. In truth, your experimental writing capacities have urged me to get my own, own site now ? Can anybody please help me in submitting guest post here. Tell me steps rest i will do myself. Could i selfhost a wordpress blog myself. .would this as allow me to save on hosting fees etc. .is it easy or recommended to do this kind of thing. mi Got a fast internet connection? i was looking to upgrade my blog from free blogger to self hosted blog and your step by step guide has helped me out in doing this , whihc for some time i was putting off ..the only problem being transfer of blogger to this wordpress platform ..but i managed to get somebody to do that for me from fiverr..
Great guide wit pics tips, and thanks especially for the list of wordpress plugins and some whihc i did not know! Those are useful for my website . I moved over to WordPress.org back in the day and wanted moe freedom with my blog and i am surprised by how many cool little plugins and tricks I just don’t know about wordpress yet . I took me a week to edit after outsourcing the work , but all done now and hope you enjoy my input into this.